There's a really grumbly post over at The Guardian by Eliane Glaser in which she complains about all the flowery and hyperbolic language being used by so many high profile scientists today. But more than that, Glaser is claiming that these popularizers of science, many of whom are avowed atheists, are using the tropes of religion to get their point across — something Glaser says is both contradictory and potentially harmful to science itself. 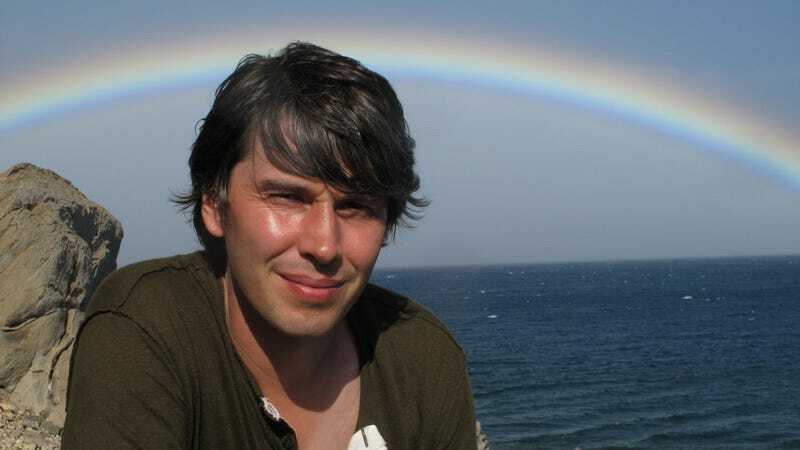 Top image: Brian Cox via BBC. It's not difficult to guess who Glaser is referring to. Popular figures like Brian Cox, Neil DeGrasse Tyson, David Brooks, Jonah Lehrer, Malcolm Gladwell, and Richard Dawkins are all renowned (or guilty, as far as Glaser is concerned) for exclaiming the profound wondrousness of science. "Instructions to appreciate the wonder of science," she writes, "are everywhere." As a result, she says, we've become worshippers, adoring these priest-like characters who now occupy an elevated position in relation to the phenomenon they admire. They're essentially functioning as "powerful gatekeepers to a mystical beyond." Glaser's point is well taken (to a degree), and I have to admit that similar ideas have crossed my mind. I've seen friends and colleagues swoon over many of these public figures in way that can only be described as religious adulation. These figures are, to a certain extent, filling the void that has been created by the ongoing secularization of human culture. Science provides a good outlet for our 'spiritual' longings and sense of existential awareness. And this is not such a terrible thing! Religious folk often complain that science has taken all the awe and wonder out of the human experience. The science popularizers have shown that this doesn't necessarily have to be the case. Also, Glaser's claim that these rhetorical approaches are "infantilising" and not conducive to involvement or inquiry is a rather serious claim — and one that doesn't feel entirely right to me. I think most of us are cognizant of how arduous and difficult science can be. Most people appreciate the effort that goes on behind the scenes. That said, if the pop scientists are doing their job right, they're also instilling a sense of skepticism; as the producers of entertaining science-based media, it's important that they talk about the scientific method and critical inquiry (an area that could stand for improvement). But what makes the popularizers so important is that they make science sound so fascinating and relevant and real. These are good things. Once an interest in science has been kindled, who knows where it will lead. It's completely fair to suggest that the Michio Kaku's and Brian Greene's of the world have inspired fleets of people to pursue careers in science. Or at the very least, they've helped to garner interests in seemingly arcane topics previously assumed inaccessible. Which brings up another point: Not everyone needs or wants to know about the tedious details of science — and that's okay, too. Personally, I can honestly say that if I hadn't discovered Carl Sagan when I was a teenager — the granddaddy of science popularizers — I would not be writing this article today. When it comes to latching on to a role model, I think I could have done a lot worse. Read Glaser's entire article here.